Midoriya izuku, deku full cowl please help!! and a lot of willpower and free time to spend on this. I don't think its wrong to post a image of what the costume looks like but encase i am incorrect mods have full permission to take down any and all images at any moment, know that if its against any rules to post template art and or the VERY few pictures from the manga (cropped and with no text in them and only a cover photo and one image from the manga) i do so believing there shouldn't be an issue. now this thread is going to be used as an overall project page, no this is not a maybe, this is a certainly going to happen. I debated about my next cosplay for a while and this is it. I am going to go all out and i do expect this to be a money pit, but that is fine. This project is going to be easily 30-40 times harder seeing as that was mostly clothing and just finding the right things. you could say this will be my first real cosplay... so bear with my lack of skill base. im going to have to find the right fabric, (im debating on what kind of threading to go with im pretty sure im going with Techno Scuba Knit but im going to look around a little more for the -exact- color) im going to have to make those boots and im probably going to use metal for them as the new costume is pretty intense i don't want any shortcuts there, however if you guys think its possible with foam i wouldn't mind being pointed in a direction that i could use as a refferance, like a tutorial for something thats simular to this. now the funny thing is this costume is going to have to be extremely tall. maintaining proper aspect ratio midoriya using inches i find that the distance from midoriyas heel to the top of his head is 2.15 my hieght is 5'11 for the sake of this argument lets assume inches=feet despite me knowing midoriya is not 2.3 feet tall. only a .5 height differential! that means i just need to adjust my measurements to an aspect ratio for 2.34 inches. well after thinking about it i just decided to use a photo editor and stretch him out in a way that he becomes my size seeing as his height is close to my own, i should have to worry all that much about our height difference. this image has been re scaled (for height not width) to be my own height if inches=feet. this brings me to a very very big point in this cosplay. in the manga and anime, his ears somehow miraculously stand up firm and triumphantly when he puts them up, and than soft and cloth like when he has them down as if deflated. I have a choice to make essentially, design the costume with the ears fixed with the intention of keeping them up consistently or i can make the costume with my face exposed and ears down always. I am honestly worried about these boots, they are going to have to be built to stand the test of time so i want to use good materials to build them, but i also don't want to damage my knees or ankle by essentially wearing weights and walking around a convention center for days in a row. I honestly would love any advice on this at all. I am going to work more on planning and update this regularly but i think this will be all for tonight. I also can't find a male non spandex non muscle suit template for a body suit, i know i have to learn it but I've been told that in sewing you can print out "templates" and follow them and sew them together? 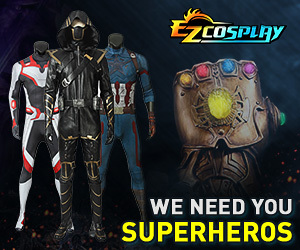 i am incredibly new to this.... but i am 100% willing to put the time in, I'm currently looking for this information but everything i find is for spandex..... im in your hands, i will try my hardest and hope this comes out with or without help, and i will be posting updates with or without help as well! I am not entirely sure what you are exactly needing help with but!! I can definitely give you some tips with the armor bits! [URL="https://www.youtube.com/watch?v=bsmAzZqaHJw"]There are lots of videos[/URL] on making armor from foam on YouTube! You for sure want to make your shoe covers out of foam, metal-working is no joke, but since you have access to a 3D printer, you could also try designing and printing those pieces for something light weight because as you said, you don't wanna weigh your feet down at a convention, it gets really old, really fast. You could also try designing something for yourself to 3D for all of the armor pieces but in terms of post-work necessary to get a good finish, I would definitely say try foam first! Those boots seem like an awesome base for you to work from as well so I would definitely say for you to buy them especially since they aren't horribly expensive. [URL="http://www.joann.com/mccalls-pattern-m7340-mens-zippered-bodysuit-by-yaya-han/zprd_15022809a.html#q=yaya+han&prefn1=prod_type&sz=36&start=37&prefv1=Product"]Yaya Han actually makes a body suit pattern for men[/URL] and it's not painfully expensive! There are also lots of shoe cover tutorials on YouTube, especially with foam! Try looking up: "Foam shoe covers" on YouTube and scroll through to see if you find anything useful! If you can, restate what you are needing help with? All I saw was at the end where you say the gauntlets and armor and stuff!